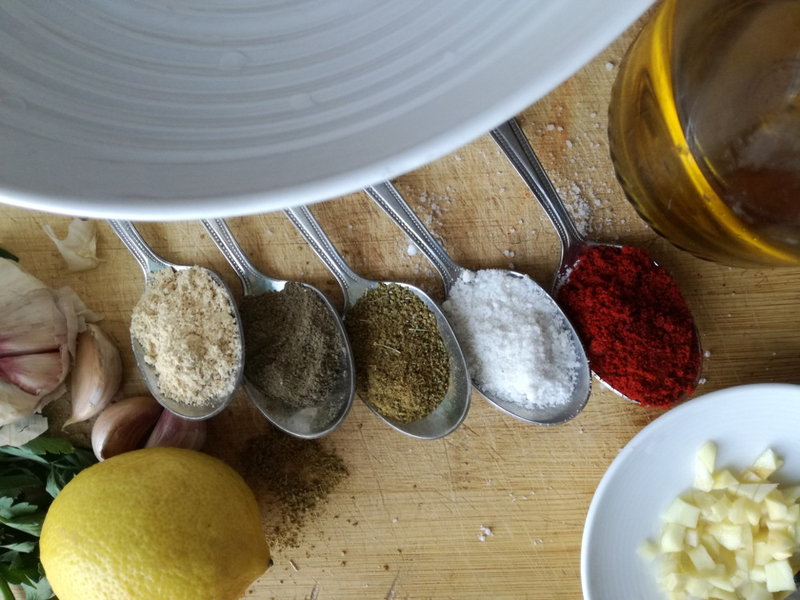 The Moroccan marinade or the charmoula in the Moroccan dialect is a simple but rich mixture of flavors that is prepared with spices (cumin, salt, paprika) and aromatic herbs (coriander, parsley) finely chopped, Mix a little olive oil and a clove of garlic. The charmoula or Moroccan marinade, is simply a sauce that will be prepared in advance to season the majority of fish preparations for frying, cooking or even for a tagine. 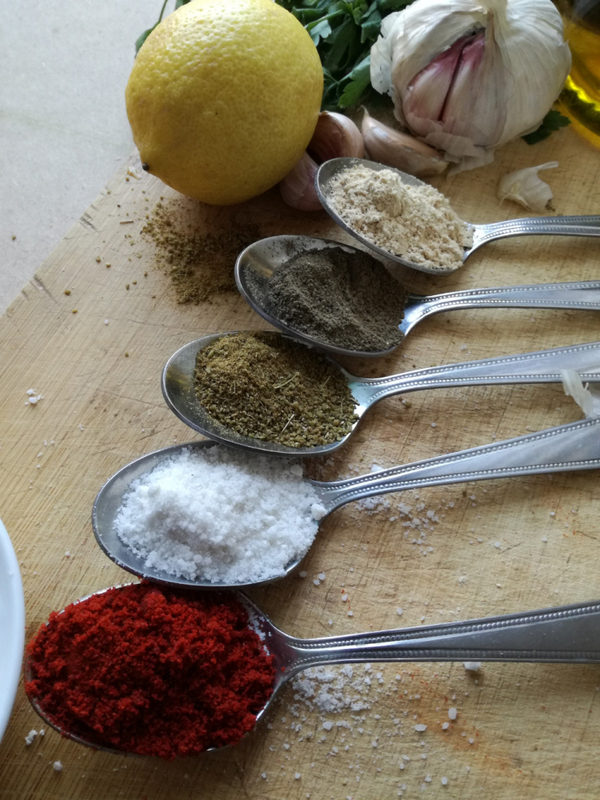 It now marries all dishes and marinates chicken or red meat steaks. 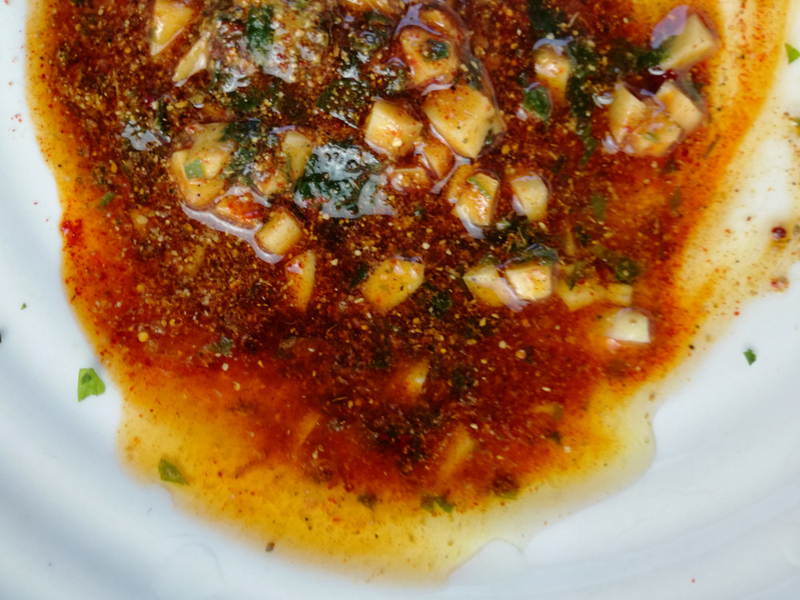 For those who dare tastes, the Moroccan marinade would be a perfect trick to tenderize the meat or to simply accentuate the flavor for spice lovers! 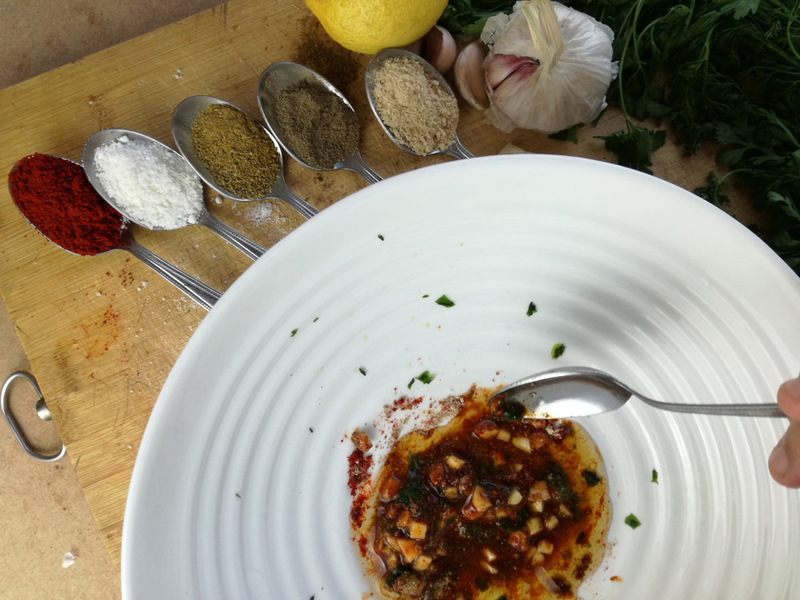 The charmoula prepared in the Maghreb cuisine (Algeria, Tunisia) and especially in Morocco, has become one of the most used sauces everywhere and in all the cuisines of the world. 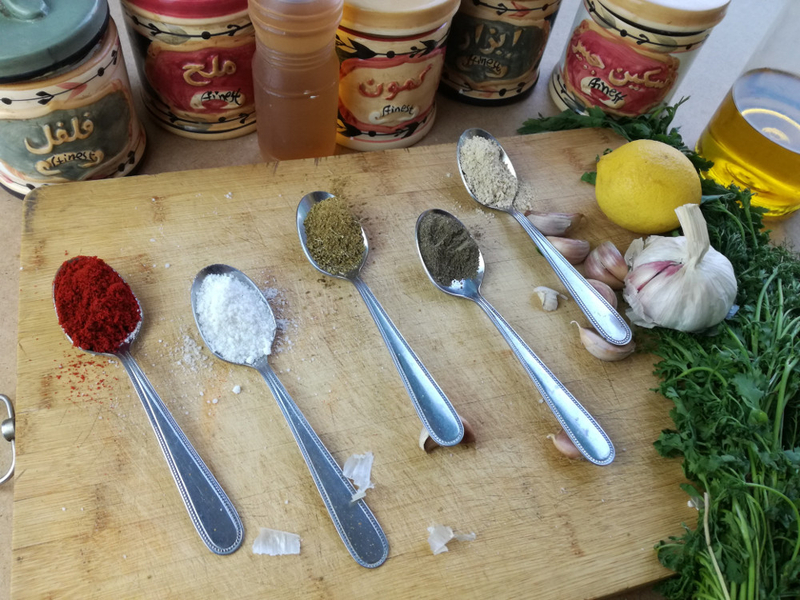 It is thanks to its popularity that it becomes one of the indispensable not only in Morocco and only for stuffing and marinating fish, but a sauce very appreciated and introduced in the seasoning and accompaniment of tagines, vegetables In gourmet dishes of international renown. 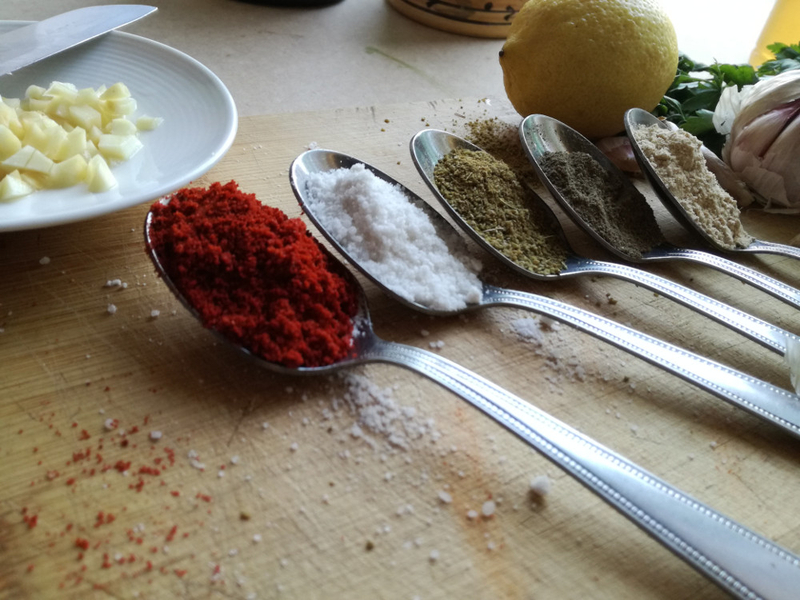 For each recipe of charmoula, we can be creative, the basic ingredients can be modified according to taste, we can add other elements such as lemon juice or more herbaceous flavors such as chives, tarragon or Herbs of Provence, as you could get a hot sauce by adding chilli.